Iowa’s rolling countryside is stunning year round, but in the fall, it becomes something truly magical. 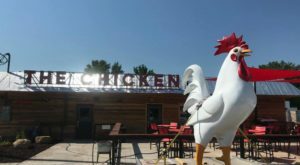 Along the Grant Woods Scenic Byway, some of the best preserved, old-fashioned scenery in the state is on display. 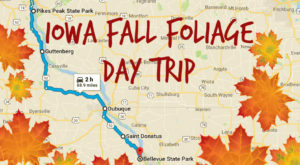 When you’re looking for a spot to go leaf peeping, do yourself a favor and plan a drive along this historic road. 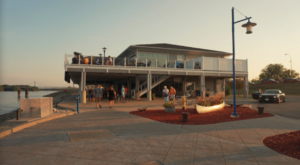 There are charming Inns and Hotels along the way, so you can take your time to truly experience an Iowa getaway. 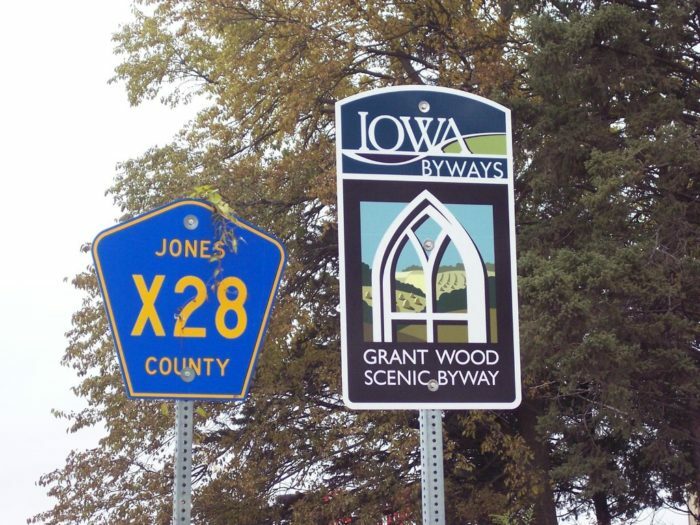 Iowa's Grant Wood Scenic Byway runs from Stone City to Bellevue. 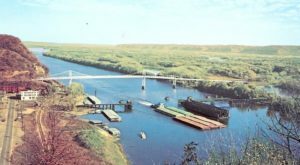 You can find a town-by-town map of the byway right here. 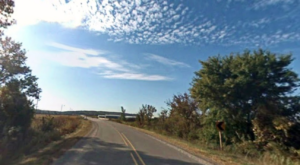 The scenic byway is named after the famous Iowa painter, who is best known for his American Gothic painting portraying prairie life. 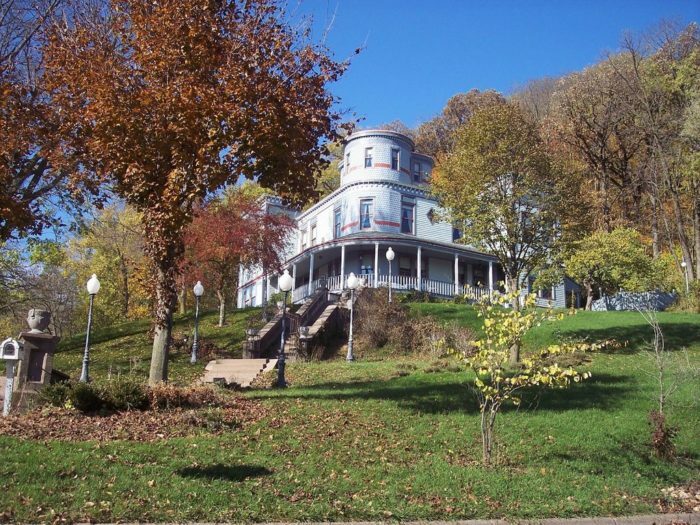 Along the way, you'll find scenic overlooks, historic markers, and plenty of places to stop and explore. 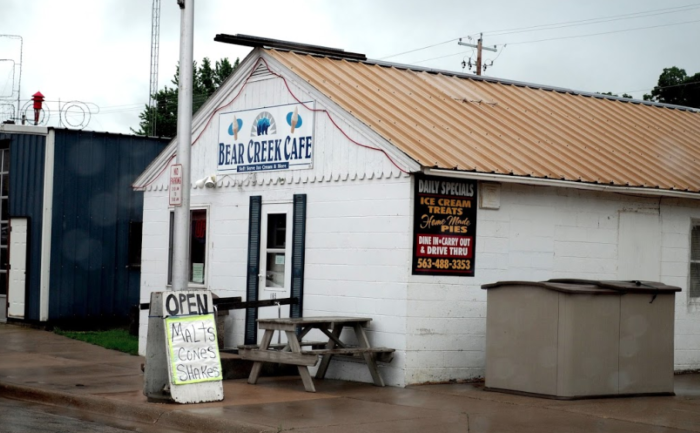 The Bear Creek Cafe in Wyoming, Iowa is a great place to grab a malt to fuel your road trip. 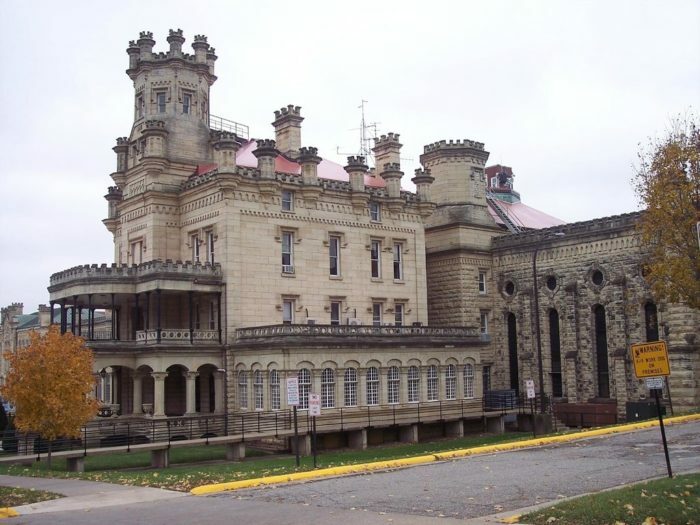 Google Local / Rich N.
The Anamosa State Penitentiary Museum is one historic spot that shouldn't be passed up. You'll hear the most interesting stories when you take a tour. Tabor Home Vineyard is located along the route in Baldwin, and it's worth stopping to sample their delicious Iowa wines. 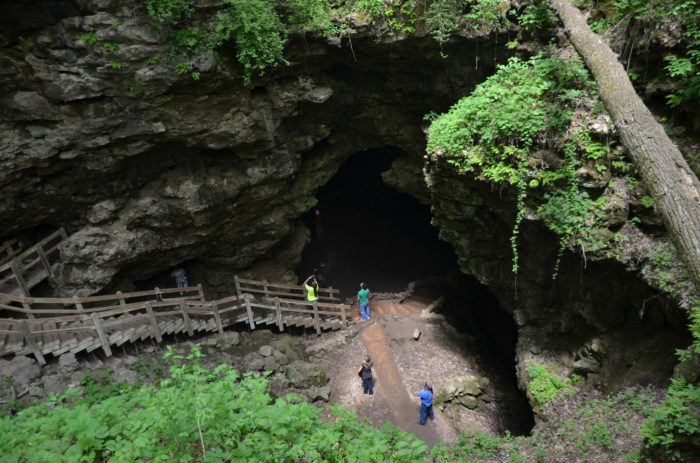 There are dozens of parks along the route, but be sure to make time to explore Maquoketa Caves State Park. 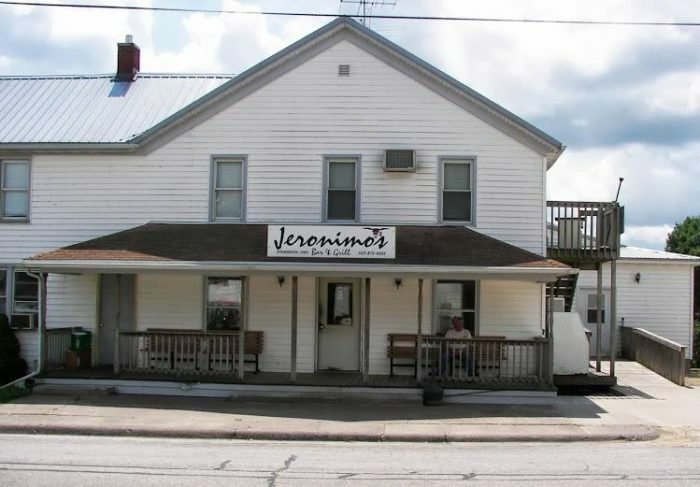 Treat yourself to a delicious prime rib dinner at Jeronimo's, in Springbook, as you wind down the drive. 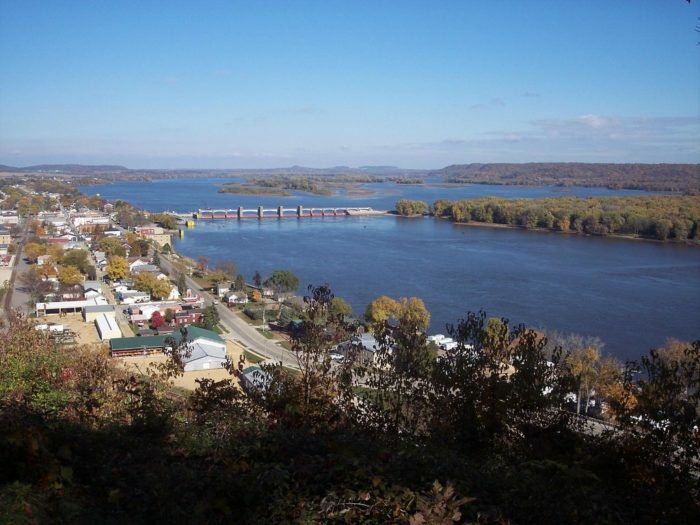 You'll know you're approaching the end of the byway when you roll into beautiful Bellevue. 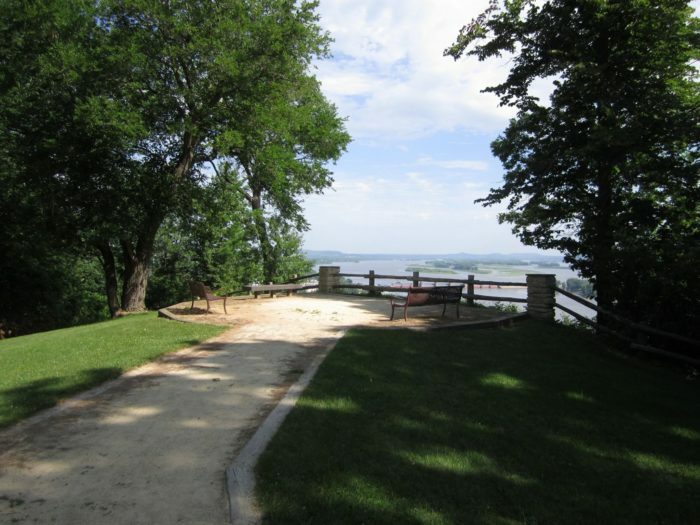 When you get to Bellevue, be sure to visit the state park. 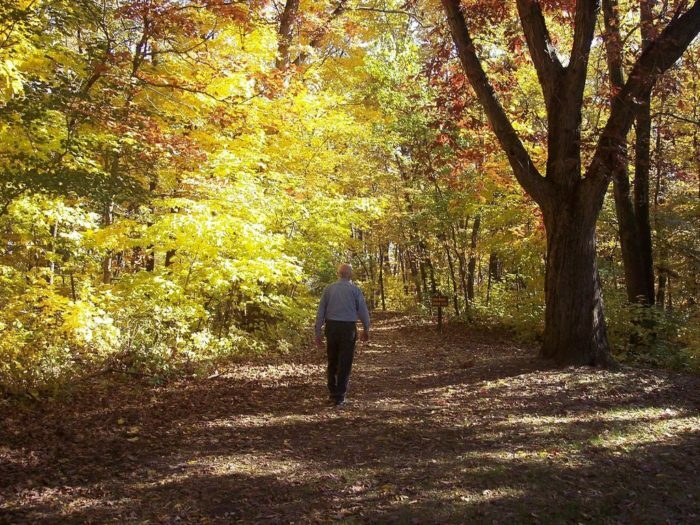 In the fall, Bellevue State Park is bursting with color! 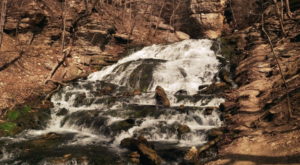 Taking a quick stroll through any of the scenic trails is the perfect way to stretch your legs after a long and scenic byway drive. 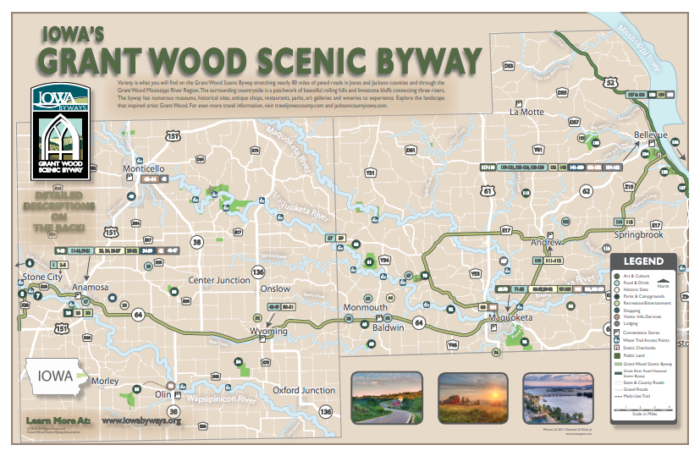 If the Grant Woods Scenic Byway isn’t in your neck of the, uh, woods, you can still take a scenic drive in Iowa this fall. 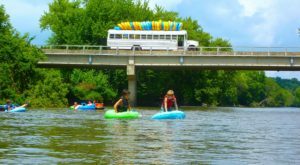 Check out our list of 7 Beautiful Byways In Iowa That Are Perfect For A Scenic Drive, choose the one closest to you, and head out on relaxing road trip getaway this weekend.